From an inspirational resource for those who want to discover more about the thousands of miles of Scotland’s spectacular coastline, this extract features two of the smaller islands. 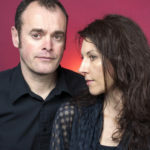 If you tire of Edinburgh in the summer, it is possible to transport yourself to another world within two hours. It’s a small one but so full of interest you will not spend much time looking back over the water at the city. Lying in the Firth of Forth, this island is almost as delightful as Iona but much less well known or visited. Its abbey, founded in the 12th century on a site already used by Culdee hermits, was dedicated to Saint Columba. Like Iona, it has been the burial place of kings and other nobles, and of large numbers of Danish soldiers. A ‘hogback’ stone, now preserved in the visitors’ centre, is probably a memorial to one of their leaders. It was Sweyn Forkbeard, King of the Danes, who paid handsomely for the privilege of committing their bones to an island grave, where neither dogs nor wolves might exhume them. What is remarkable about the abbey is the survival of many of its buildings, intact, and even with roofs. The octagonal chapter house, the cloisters with refectory and dormitory above them, and part of the church can all be seen, almost as if the Reformation never happened. Being offshore, they avoided the excesses of reforming mobs, and the place remained partly used as a residence, the rest of it being allowed to slide into ruin. Its charm is in this state of decay, which allows the historical imagination full play, and also in its situation. The greensward and scatter of trees of this tiny island are compelling: so near to Edinburgh, yet worlds apart. You get to Inchcolm on a boat from South Queensferry, cruising along the Forth. It takes less than an hour and gives you an hour and a half to explore. There are First and Second World War fortifications, the former Navy, Army and Air Force Institutes (NAAFI) building being the gift shop run by Historic Scotland, which has the custody of the buildings. Fulmars, gulls and terns breed successfully on the island, as it lacks terrestrial predators like stoats and hedgehogs. Raasay, off the east coast of Skye and accessible by car ferry from Sconser, is an island with a distinctive skyline. Its flat-topped hill, Dun Caan, is like a miniature of one of MacLeod’s Tables on Skye. Early travellers walked round the island in a day, but as it is 14 miles long and three wide, they can’t have had much time to enjoy the place. Raasay House was formerly a gentleman’s residence visited by James Boswell and Samuel Johnson in 1773. The latter found “nothing but civility, elegance and plenty”. In the last 40 years it has seen dereliction, revival, community buy-out, and fire, but it’s now been totally refurbished as holiday accommodation with an outdoor centre, a café, bar and restaurant. Tourism is the primary earner in this place that used to rely on its mineral wealth, fishing in the deep waters that surround it, and crofting. On a day trip you can taste some of the island’s pleasures. Raasay House is just north of the principal village, Inverarish, where the ferry docks. Several special things linger in my memory from my first visit. On its battery you can see the old cannon and the stone mermaids from the island’s heyday. Nearby is a fine Pictish stone. 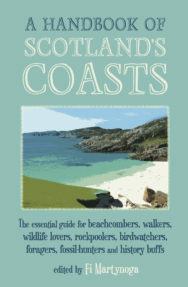 A Handbook of Scotland’s Coasts by Fi Martynoga is published by Saraband and is available now priced £12.99.